Katmandu bustles, to put it politely. Dilapidated cars, motor scooters, trucks, rickshaws, bicycles, dogs, cats and farm animals jostle with thousands of people to fill — and I mean fill — dusty, winding, potholed streets from building to opposite building. Not from sidewalk to sidewalk, because there are no sidewalks. And not from gutter to gutter, because there are no gutters, either. The direction of traffic is whichever the traffic chooses at any given time, and it changes from moment to moment. Everyone and everything go every way all at once. You have to watch all directions simultaneously, else you get run over. The cacophony assaults you. Muslims have the Taj Mahal and Mecca. Catholics have St. Peter’s Cathedral and the Vatican. 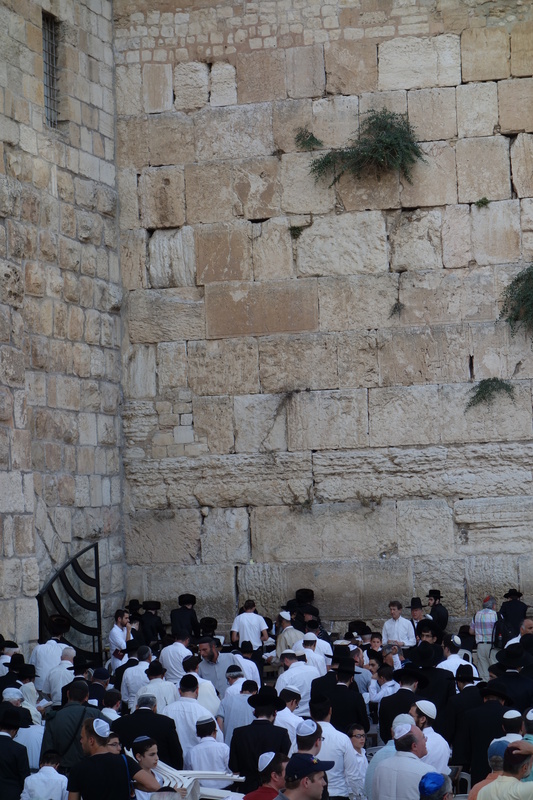 The Western Wall is a stack of massive stone blocks a few dozen feet high and a couple of hundred feet long. It’s all that’s left of Jerusalem’s second Jewish temple, a structure that astonished even the Romans. The Romans destroyed it to punish the Jews for their Great Revolt in 70 A.D.
That wasn’t the first time. It’s called the “second” temple because it replaced Solomon’s temple, which had been destroyed by the Babylonians six centuries earlier. For millennia, this fragment of the second temple has been sacred to Jews, reminding them of their culture, their religion, their diaspora, their return and their faith that someday there will be a third temple.